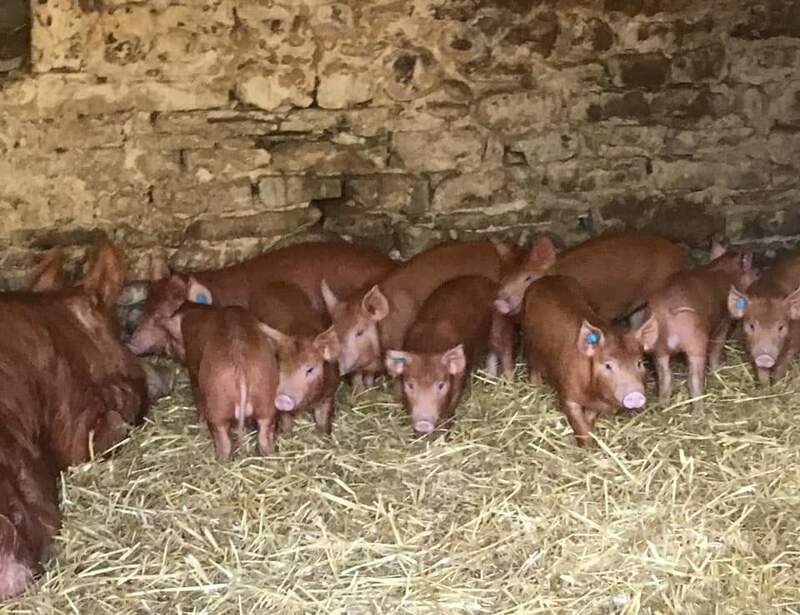 Eight boars and one gilt available, all birth notified. Born Dec 2018/Jan 2019. Sired by Winmarleigh Yorkshireman. £65 each. Stoneymoor Yorkshireman 12 – He is 3 years old with a nice temperament. I will be keeping his daughters so need to move him. I have two litters and looking to sell around 4 to 6 weaners. Please advise if you’re looking for Gilts or Boars. Both Mum (Berkswell Lucky Lass) & Dad (Stoneymoor Yorkshireman) are registered but the litter is not. Mum & Dad are not registered but from good litters. Collection preferred (Near Peterborough) but if you need delivery we can discuss arrangements. We have our boar (Missinglink Royal Standard 2) available for hire. He is a pedigree registered Tamworth. ‘Henry’ is a young (1 year old), keen and friendly boar who has already fathered two beautiful litters of 8 and 9 Tamworths. We can deliver him at cost.